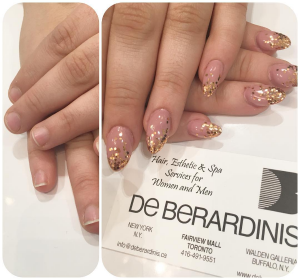 Nail extensions have always been around for a long time now, but have you heard of extending your natural nails, without using the traditional tips and glue method? That’s right! 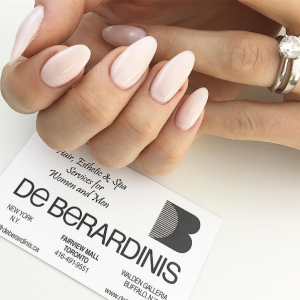 You can extend your nails without using plastic tips or a single drop of harmful nail glue! 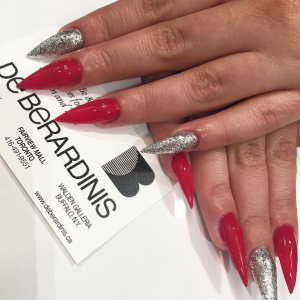 It’s called sculpted nail form extensions. Basically how they’re done is by sticking the “form sticker” directly under the natural free edge of each nail to act as a platform, then gel is applied right onto the nail and the form sticker to your desired nail thickness and length. Once the gel is cured, the form sticker is removed and you will be left with a longer nail without the use of a tip. This allows the nail to be completely smooth. It creates a much stronger bond to the nail which helps to prevent the nail from cracking or snapping in half. Refills are done the same way, typically in about 3-4 weeks. Needless to say that once you’ve tried this method, there’s no going back!